Ixora is an evergreen shrub that thrives outdoors in zones 10b through 11 and is popular in the warm climates of south and central Florida. 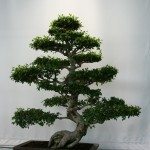 It can grow quite large, but also handles shaping and pruning well. To maintain its size and to create an appealing shape, cutting back Ixora is important and not hard to do. Should I Prune My Ixora? Pruning is not entirely necessary for Ixora, also known as flame of the woods. 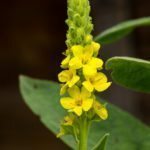 This evergreen shrub produces bright clusters of tube-shaped flowers and can grow up to 10 to 15 feet (3 to 4.5 m.) high, depending on the type. If you want to keep your Ixora smaller than that, you can prune it. You can also prune to maintain a certain shape. However, there are some newer cultivars, like ‘Nora Grant,’ that were developed to require minimal pruning. And pruning may reduce the number of flower clusters you get. 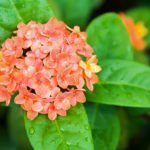 Make sure you know what kind of Ixora you have, but keep in mind that all of these can handle a lot of pruning and shaping. In fact, Ixora is a good candidate for the art of bonsai. Ixora pruning is generally like pruning any other shrub. If you are growing it in the right climate, with no freezing temperatures during the year, you can prune it at any time. If there is an unseasonal freeze, wait until the first leaves appear so you can see and trim back any frost-damaged branches. A good strategy for pruning Ixora plants for greater bushiness and fullness is to cut out one branch everywhere you see three at a joint. This will cause the shrub to branch out more and will give it a greater fullness and let more light in to the middle of the plant to encourage more growth. You can also prune strategically to give your shrub a rounded or square shape or to keep it within a certain size. Just remember that more pruning of an Ixora means fewer flowers. Read more articles about Ixora.